The character introduced in the 1960s was originally conceived as a Black Liberationist. Warner Brothers debuted the latest trailer for the up-coming Aquaman feature film out next month but the best part wasn't the titular hero — beloved Jason Momoa — but the first look of Aquaman's long time nemesis Black Manta. Most people are probably familiar with Manta from his appearances on The Super Friends and Justice League Unlimited cartoons but few know his backstory. The character made his first appearance waaaay back in Aquaman #35 in September 1963. Black Manta and Aquaman battled repeatedly over the next several years. 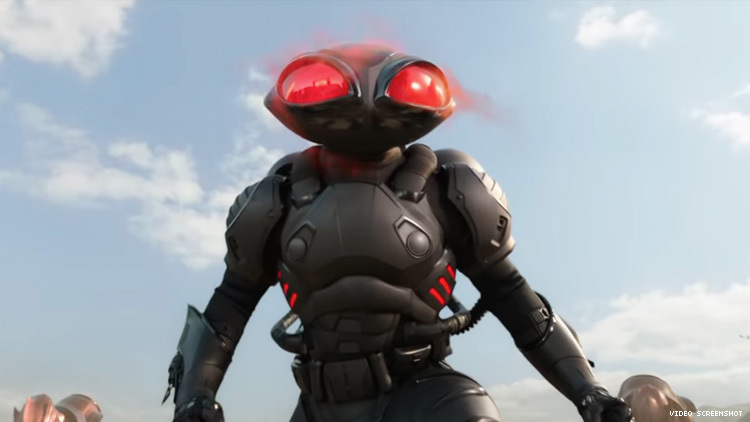 During one of these clashes it was revealed that Black Manta was actually Black, whose goal was for Black people to dominate the ocean after having been oppressed for so long on the surface world — but he was more often portrayed as a pirate not a Black liberationist. While it’s uncertain what Manta’s agenda is in the new film—at the very least DCE cast actor Yahya Abdul-Mateen II so maybe we’ll see a cool take on #BLM in the movie! Aquaman debuts nationwide on December 21. Watch the trailer below.